A port and update of my original mod Practical Logistics with even more fanciness. 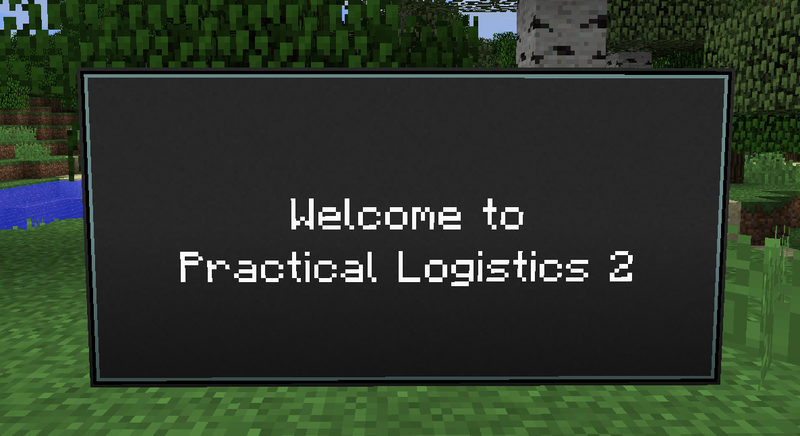 Practical Logistics 2 gives you the ability to create automated systems for reading, displaying and acting upon data. You can monitor items, energy, fluids, entities, machines, tanks, light, weather, direction, movement and much more. You can create Item, Fluid and Energy networks and transfer them anywhere in the world instantly; you can even transfer across dimensions. 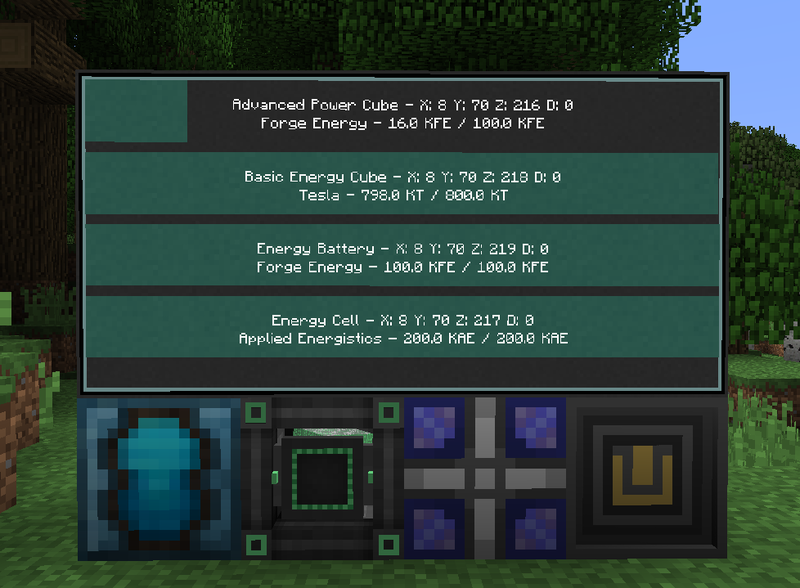 This mod also gives you more interactive control, via the use of Large Display Screens. This gives you infinite control and management of your base. You can also monitor and control blocks wirelessly. 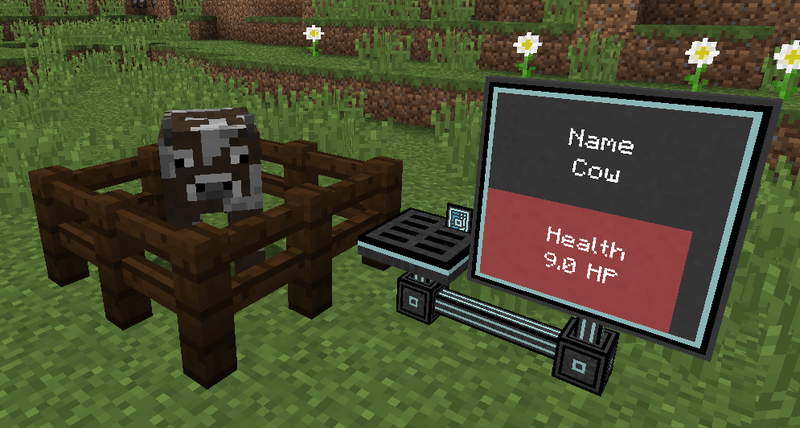 Important Info: This mod requires Sonar Core & MCMultipart to run. Fluid and Item Monitoring. On one screen! 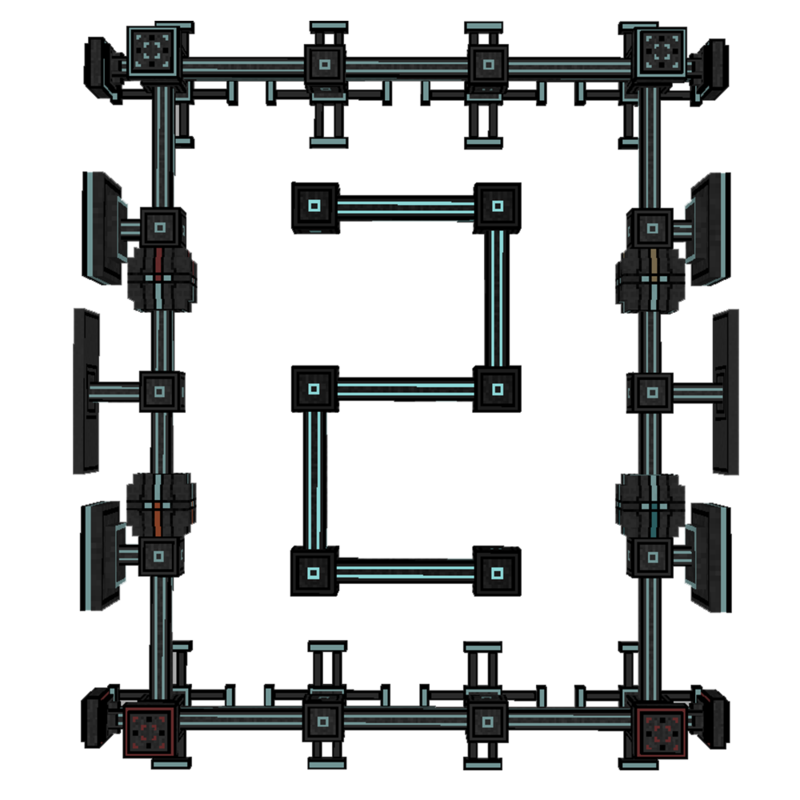 Screen Interaction - for item/fluid extraction. Added Wireless Storage Reader - for wirelessly add/remove items. Added Transfer Node - used for transfering items/fluids/energy from/to the connected block. Full Multipart Support - Super compact setups. 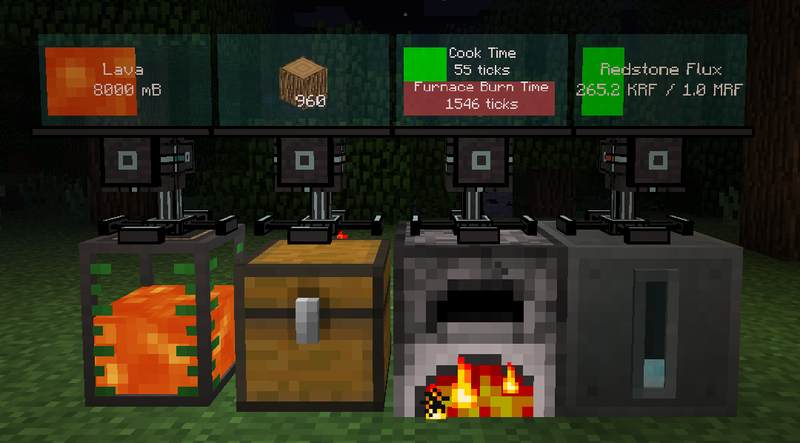 Redstone Signaller: Now supports multiple statements for more complex setups. 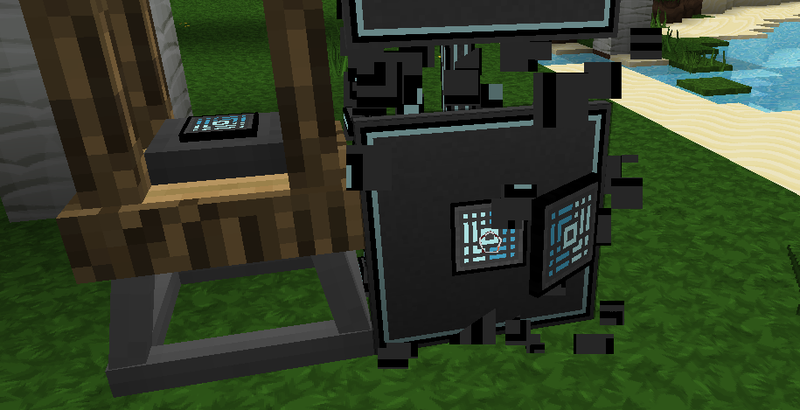 Display Screens can now face UP and DOWN. Channel Selector has been removed. Channels can now be configured within each individual block. Info Creator and Data Modifier have also been removed. Info can be created and modified within the screens themselves. Does this not work with refined storage? I can't any data from any of the blocks. Would it be possible to update to add a module for the mod? No. 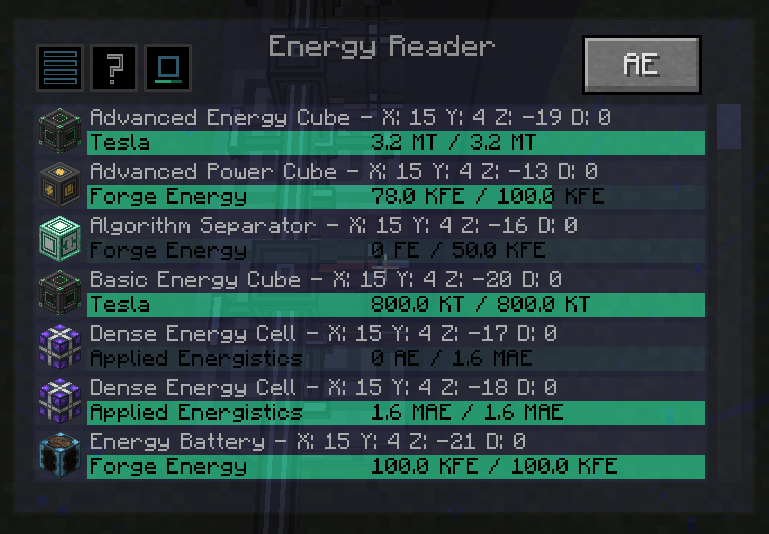 This is a Applied Energistics addon. Where does it say that it's an AE addon? If that was the case then it should say that AE is required. I mean true, but I'd figure that it's mainly focused on AE rather than RS. I was really hoping I could get a text list of monitored inventory, as I'm specifically hoping to manage an inventory full of enchanted books, where the icon is basically useless. Could I ask for assistance on how to interact with Refined Storage to show storage etc? I can't find any forum posts or videos explaining it. The original is 1.7.10 but of course it is no longer developed and isn't as cool as version 2. It seems that something is wrong with display in sever.IF connect to the sever,the display will be showed incomplete so that it cant be used.Singleplayer seems that it has not the problem. ... is there a upgrade to the displays that allow you to manipulate the connected things from the display? probs not but still, thanks. Transfer nodes don't seem transfer anything... How they work exactky? 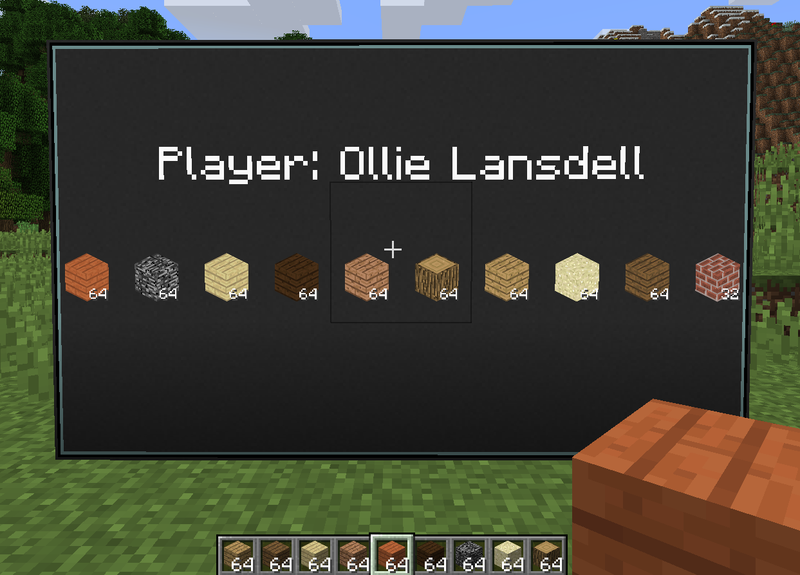 Hey Ollie, I'm an average "Feed the Beast" player and have decided to take on a project regarding wireless redstone. Since I've latched on to your mod to help me achieve that, I was wondering if you could expound on your ingame guide here to give a simple redstone signal layout, either a picture or even a short guide about the pieces required. I know the guide discusses wireless redstone, but it doesn't list the items required, and the picture it is supposed to show is bugged out and I can't find more information or the picture anywhere on the internet. If you needed more information, the project in question is a simple fan operation for a mob spawner, using cyclic fans which only require a redstone signal. Hey there, I just wanted t know if this could connect to multiple things or works with Itanks or TCon? thanks though, this seems like a good mod. You can read from multiple inventories, tanks, energy sources at once, and interact with them all at once. Some mods require support but hopefully they should already work providing they implement forge methods properly. 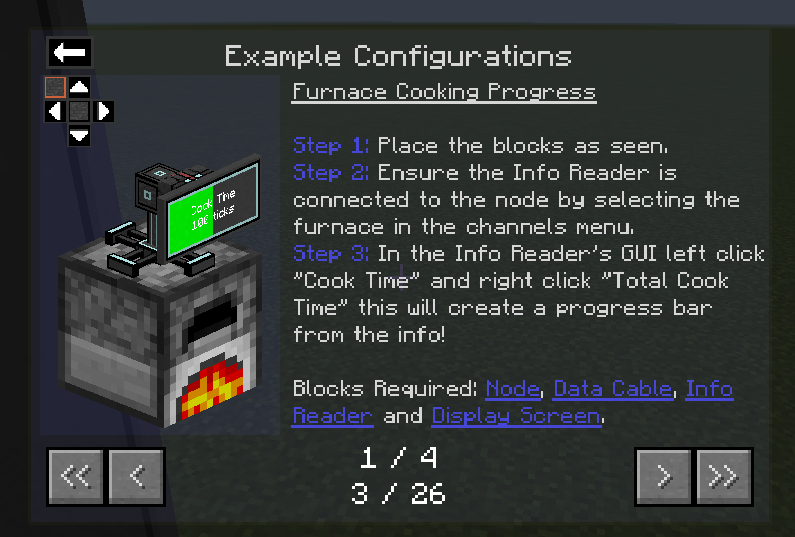 Although to read from the smeltery for example you'd probably have to connect to the controller and wouldn't get a reading from the sides. In 1.12.2 its NOT reading anything!!! I dunno why??? I put the node first in the chest and connect a pipe and then the monitor I tried all of the monitors available but NONE of it seem to work!!! Or maybe I miss the instruction part how tos??? Please link me some latest version tutorials, thanks so much. Do you plan to do Industrialcraft reactor stuff similar to how Nuclear Control works? I need to read heat and possibly efficiency. And I think someone asked, but also Essentia tracking and possibly node health for thaumcraft. Love the mod, btw. I can now have a fully function factory control center!